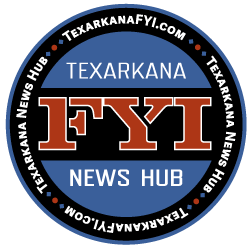 The Texarkana Texas Police Department has arrested a group of people in the theft of nine vehicles from The Auto Auction Lot on Elm Street. Those arrested include two 18-year-old men, a 14-year-old girl, a 14-year-old boy, and a 13-year-old girl. Sometime this last weekend, nine vehicles were stolen from an auto auction business in the 900 block of Elm Street. Someone used one of the cars on the lot to drive through a gate on the back side of the fence. Since it was reported to us yesterday, several local teenagers have been arrested as part of this investigation – and more arrests are expected. About 10:50 last night, Texas DPS troopers were dispatched to a vehicle crash in the George Thomas Road area in Bowie County. After they arrived, they realized that vehicle was one of those stolen from the auto auction. 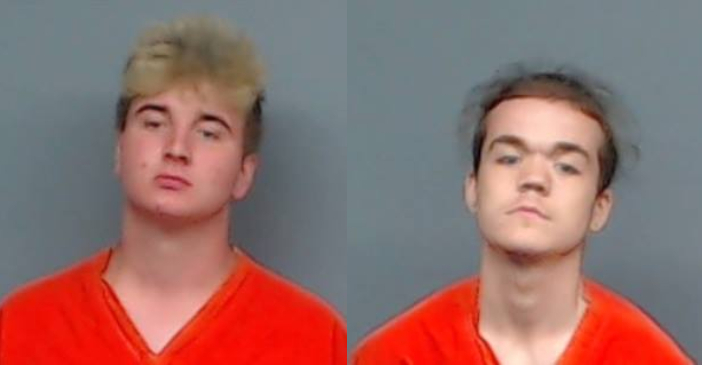 David Lee and Hayden McLeod, both 18, were in the vehicle and arrested for Theft of Property. While they were still out there working that crash, a vehicle drove up and turned around when they saw the troopers. (That’s normally a sure fire sign that something is up.) Turns out that was yet another one of the stolen vehicles who had presumably come to pick up Lee and McLeod. When the troopers tried to stop that vehicle, it immediately fled at a high rate of speed. After a lengthy pursuit that ended when the vehicle crashed in Texarkana Arkansas, all four occupants fled on foot. A 13 year old girl, 14 year old girl, and a 14 year old boy were arrested by TAPD officers and the troopers. They were all charged with Theft by Receiving and Fleeing, and they were transported to the Miller County Juvenile Detention Center. At this point, all but one of the vehicles stolen has been recovered – at various locations on both sides of Texarkana and in Bowie County. Several were abandoned after they were wrecked. We would be remiss if we didn’t thank Texas DPS, the Bowie County Sheriff’s Office, and the Texarkana Arkansas Police Department for their invaluable help. We really appreciate them! !